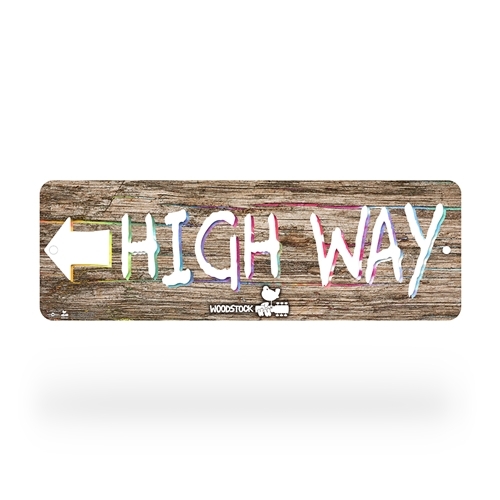 The psychedelic official Woodstock "High Way" Street Sign is now available through Bluescentric. When hundreds of thousands descended upon Woodstock Music and Art Fair in 1969, they needed a way to navigate the vast festival area at Yasgur farm. So was born streets like High Way, Groovy Way, and Happy Ave. Now you can take a part of Woodstock for your music room, studio, home office, listening room or garage. 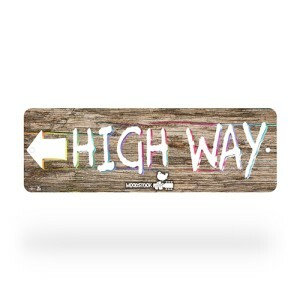 The Woodstock sign is full-color on .026 aluminum, and measures 18 inches by 6 inches (147 x 153 mm), with 3/4 inch rounded corners and two 1-3/8" drill holes for hanging. Works for indoor or outdoor, and will last years. For maximum life, try to keep away from continuous, direct sunlight.